Can the Book of Mormon's setting be determined from things present and published, in the Prophet Joseph Smith's time and country? Absolutely! In the comprehensive table below, yellow indicates a match between Book of Mormon elements on the left and important categories on the right. Lighter yellow indicates a possible correlation. Emphasis has been placed on significant elements which appear in the Book of Mormon's New World setting. A selection of elements that only appear in Book of Mormon quotations of Old World scripture is also included. Ethan Smith's View of the Hebrews (1823 ...). Abbreviated VOTH followed by page number. 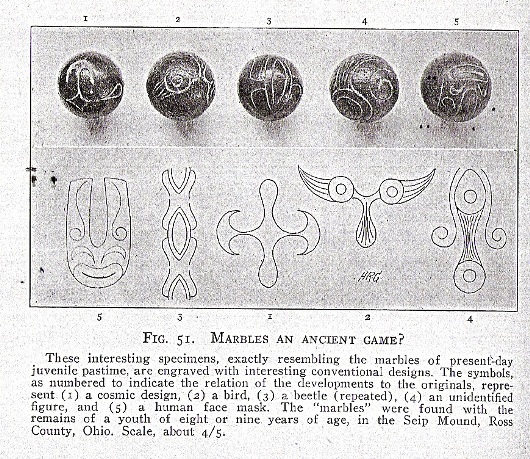 Josiah Priest's American Antiquities and Discoveries in the West (1833 ...) . Abbreviated AA followed by page number. Cornelius Matthews' Behemoth: A Legend of the Mound-Builders (1839). Abbreviated B followed by page number; with artifact notes (B Notes) followed by page number. Behemoth is the story of a hero - a sort of American Beowulf, who confronts a monstrous Mastodon. Matthews purports to support his fictional narrative with physical evidence. The Book of Mormon's New World setting is separate from the Old World scripture it contains, but includes the Savior's sermons tailored to the mound building Nephites. Camels (as also llamas) are "unclean" according to Mosaic Law and are not fit for Israelites to eat or sacrifice. (Deuteronomy 14:7) Neither camels or llamas are identified in the Book of Mormon. Of course, not every Promise Land element is found in scripture, but it is reasonable to expect the mention of a few things unique to the scriptural setting. The elephant is the only identifiable animal mentioned in the Book of Mormon that is not explicitly mentioned in the Authorized King James Version of the Bible (KJV), Old Testament (OT) or New (NT). But elephants (mastodons and mammoths) feature in American literature treating the mound builders. If "elephants" are not the animals that the Book of Mormon intends, then why wouldn't the sacred translation use a biblical term like "behemoth" which is less definite? 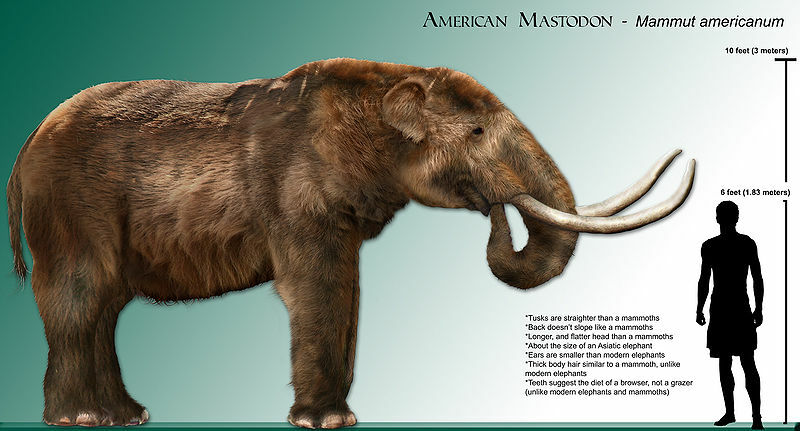 (Job 40:15-24) See "Elephant (Mastodon, Mammoth)" in the listing below. Some animals are inaccurately identified in the King James Bible, but "horses" are not misidentified in the renowned translation. Horses also feature in 19th Century "Mound-builder" literature. Those positing Central or South American settings for the Book of Mormon often insist that many animals named in the Book of Mormon (including the horse) must be different species. There is reason to be suspicious of this overused argument, especially when the KJV correctly identifies these animals. See "Horse" in the listing below. The dignified language of the King James Bible is familiar to many, but some KJV terminology appearing in the Book of Mormon is imperfect. The biblical terminology, however, can actually serve as a scholarly key. 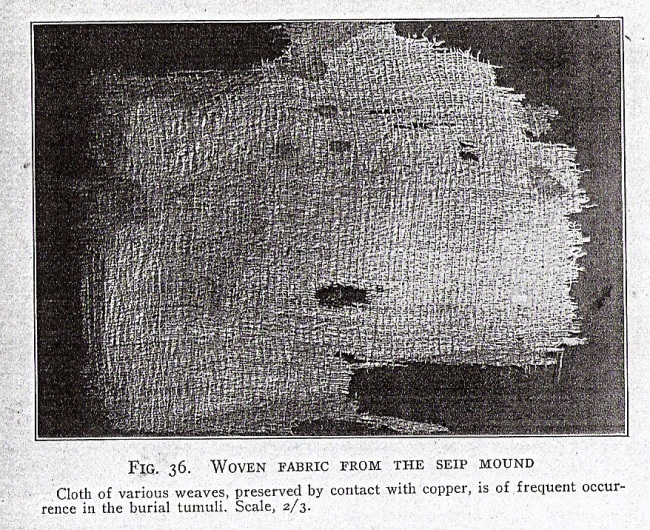 The Gentile translation is readily traced back to more perfect Old World terminology: Thus the familiar but unoriginal "Red Sea" is understood to actually be "reed sea", "steel" is actually a form of hardened copper, "brass" may describe a copper alloy like bronze, and "silk" can mean a fine fabric made from plant fiber, etc. Some of the scriptural elements compared in the table below are trivial. Others are not. Despite popular depictions and apologetics, there is not one element from the Book of Mormon's New World setting that uniquely points to Central or South America! 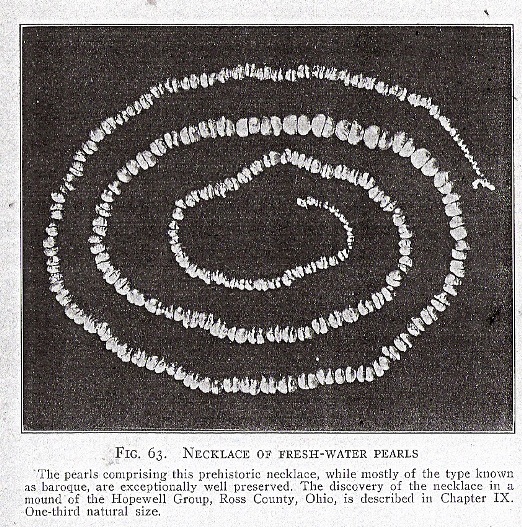 There are several elements that uniquely match Joseph Smith's own country and the mysterious mound builders of North America. The comprehensive comparison below demonstrates that mainstream academia is right to place the Book of Mormon in the "Mound-builder" genre. Only when the Book of Mormon's literary setting is correctly identified, can legitimate archaeological research into the book's historicity commence. (1) Not every land in the Americas qualifies as a land where “there shall be no kings upon the land, who shall raise up unto the Gentiles.” (2 Nephi 10:10-14) Central and South America do not meet this requirement. Emperors Iturbide, Maximilian, and “Perpetual Dictator” Santa Anna come to mind. There have been numerous emperors, supreme rulers, and dictators over the Gentiles of these lands. Not all have perished for their ambitions. (2) Not every land in the Americas is conducive to keeping all of the seasonal ordinances of the Law of Moses. (2 Nephi 5:10, Helaman 15:5) Scripture indicates that Lehi’s inheritance is in sync with the seasons of the land of Israel. The Lamb of God was sacrificed in the first month of the ancient Israelite calendar, (Exodus 12:1-6) coinciding with the first month of the Nephite calendar. (Helaman 14:20, 3 Nephi 8:1-5, 20) Fully keeping the Law of Moses meant keeping the divine calendar. Its true that Lehi’s covenant inheritance could have extended southward beyond the principal lands named in the Book of Mormon. Lehi’s inheritance could include the vast heartland of America; but the fact remains, the principal lands of the Book of Mormon were small and localized near the “west sea” (Lake Erie). In the vicinity of Great Lake Erie there resides a narrow pass and a narrow neck of land divided by the sea. The land (western NY) exhibits a general southern rise in elevation, and there is a northward flowing river (from southern headwaters) exactly as the Book of Mormon describes. There is no firsthand, verifiable statement by Joseph Smith espousing a hemispheric geography for the Book of Mormon. 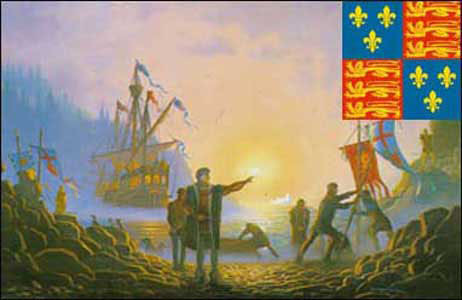 Though others thought of North and South America as one continent, Joseph’s use of the expression “this continent” possibly refers to North America – the discovery of which is credited to John Cabot (the Italian explorer Giovanni Caboto) not Christopher Columbus. (Rodney Broome, Terra Incognita - The True Story of How America Got Its Name, 2001) The angel Moroni’s reference to “the former inhabitants of this continent” was understood by Joseph to mean the “Indians” of his own country. (The Papers of Joseph Smith, Edited by Dean C. Jessee, Vol. 2, pg. 70; The Joseph Smith Papers, Vol. 1, 9 November, 1835 – Monday, pg. 88) Joseph Smith’s May 2, 1842 Times and Seasons editorial entitled, “A Catacomb of Mummies Found in Kentucky”, relates “the North American Indians” with Book of Mormon “descendants of Israel coming to this continent”. If we say that Joseph speculated, and thus had an imperfect understanding of America’s Israelite lands, we still have not proven that he had no knowledge or revelation on the subject. At the very least Joseph Smith understood that there were Book of Mormon peoples, and lands in his own country. The epistle that became LDS D&C 128, identifying the Finger Lakes location of Cumorah, was delivered to the Saints as the “word of the Lord”. (D&C 127:10) Joseph’s mother and one of the witnesses to the Book of Mormon, indicate that the whereabouts of Cumorah came from one or more divine being. According to Lucy Mack Smith, both her son and the messenger referred to the place where the plates were deposited as “hill of Cumorah”, meaning hill of the Book of Mormon land Cumorah. (The Revised and Enhanced History of Joseph Smith By His Mother, Edited by Scot Facer Proctor and Maurine Jensen Proctor, Bookcraft, 1996, pg 107 n. 14; see also David Whitmer Interviews, edited by Lyndon W. Cook, Grandin Book, Orem, Utah, 1991, pp 13, 27) If D&C 128:20 does not mean the Book of Mormon Cumorah, why would God, who is not the author of confusion, seek to confuse us? Having revealed Cumorah’s location, Joseph allowed others to form divergent opinions on the location of other Book of Mormon lands. Not all of the early Saints accepted a hemispheric setting. Some placed southern most Nephite territory in the United States. (Journal of Samuel D. Tyler, September 25, 1838) W. W. Phelps had a more exaggerated idea and pegged the prairies of North America as the Book of Mormon land of Desolation. (W.W. Phelps, “THE FAR WEST”, EVENING AND MORNING STAR, Vol. I, September, 1832, No.4, pg. 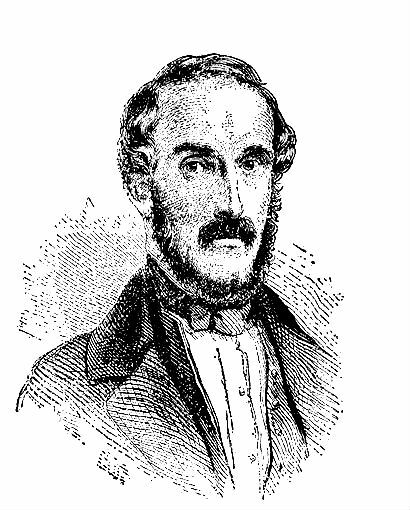 37) Many became inordinately enamored with John Lloyd Stephens’ bestseller and tried to link Book of Mormon cities with Central American ruins, even though Stephens regarded the ruins which he and Catherwood documented as relatively recent works. Art of Frederick Catherwood. 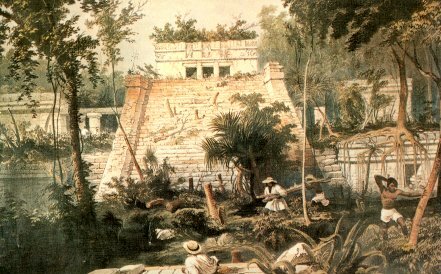 Central American ruins discovered by Stephens and Catherwood dating more recent than Book of Mormon times. No word-print analysis can tell us the extent to which Joseph approved collaborative articles which he did not sign. The extent to which he speculated on Central America, is not certain; and does not logically thwart the things he knew and revealed relative to the Book of Mormon’s original setting. Unsigned Times and Season newspaper articles, published more than a decade after the Book of Mormon, should be recognized as later developments - caught up in the sensation of Stephens’ discoveries. To strain and drum incessantly on these unendorsed articles, and on far-flung geographies promoted by other brethren, is to strain at gnats and swallow llamas. “It is highly probable that the more civilized part of the tribes of Israel, after they settled in America, became wholly separated from the hunting and savage tribes of their brethren … that the more civilized part continued for many centuries; that tremendous wars were frequent between them and their savage brethren, till the former became extinct. B of M; though numerous creatures are mentioned in the KJV, the word animal does not appear there. B of M; the Hebrew word "miqneh", translated "cattle" in the KJV, comes from the verb to "get" or "acquire" and implies purchasable animals. "Cattle" include more than bovine animals. B of M; NT Greek term for "chickens" means "brood". B of M; "corn" in the KJV is a cereal grain. The honey bee is not identified in the N.W. setting. B of M; Though the elephant is not explicitly mentioned in the KJV, the compound plural word "shen-habim" (1 Kings 10:22), translated "ivory", may refer to "tusk" or "tooth of elephants"
JSC; Figs imported to VA as early as 1669 and successfully grown in NY. B of M; jungle is nowhere mentioned in the B of M.
B of M; Goats are among the clean animals approved for sacrifice under the Law of Moses. 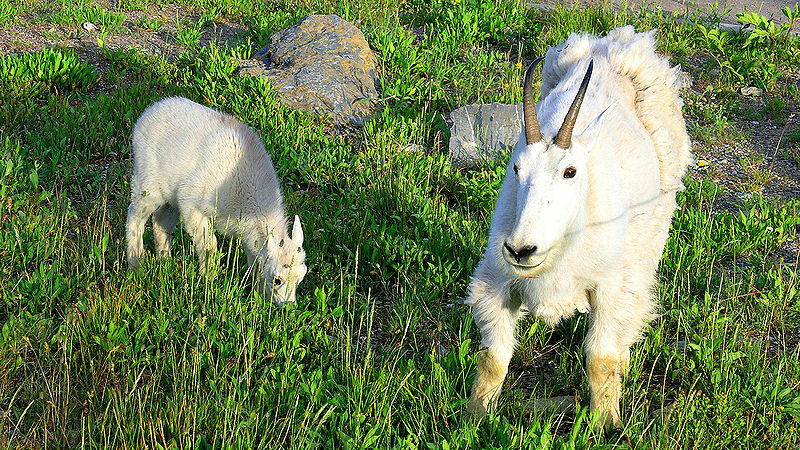 JSC; indigenous North American sheep and goat-like animals (mountain goats). B of M; wine is required in Israelite ordinances. B of M; scripturally includes "honey" made from fruits. JSC; "steed": B 99-100, 102; B Notes 191; AA 256, artifact interpreted as evidence that mound builders rode horses, and had horse drawn wagons (or other domesticated animals pulling wheeled carriages). Unlike "lions" there is no mention of spotted cats in the N. W. setting. Mountain lion cubs, however, are spotted. 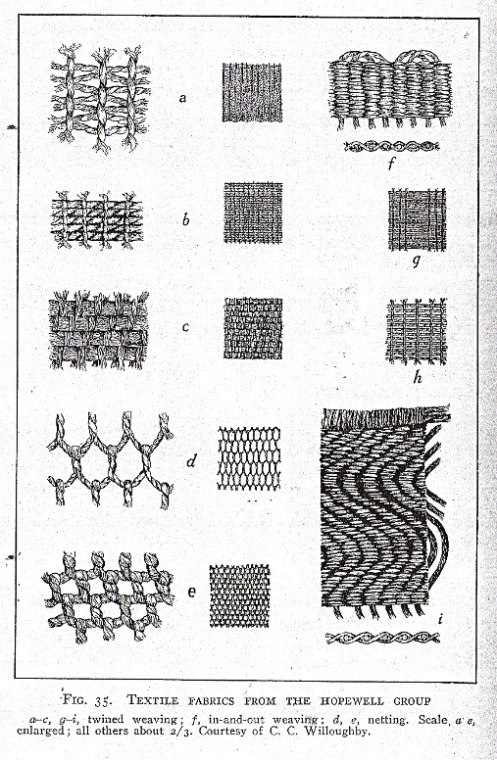 B of M; linen is a cloth made from plant fiber. No land animal is referred to as a monster in the B of M.
B 68; B Notes 176, 188, "monster of the ocean". Cited in O. W. scripture and implied in N. W. setting (grown somewhere in America). 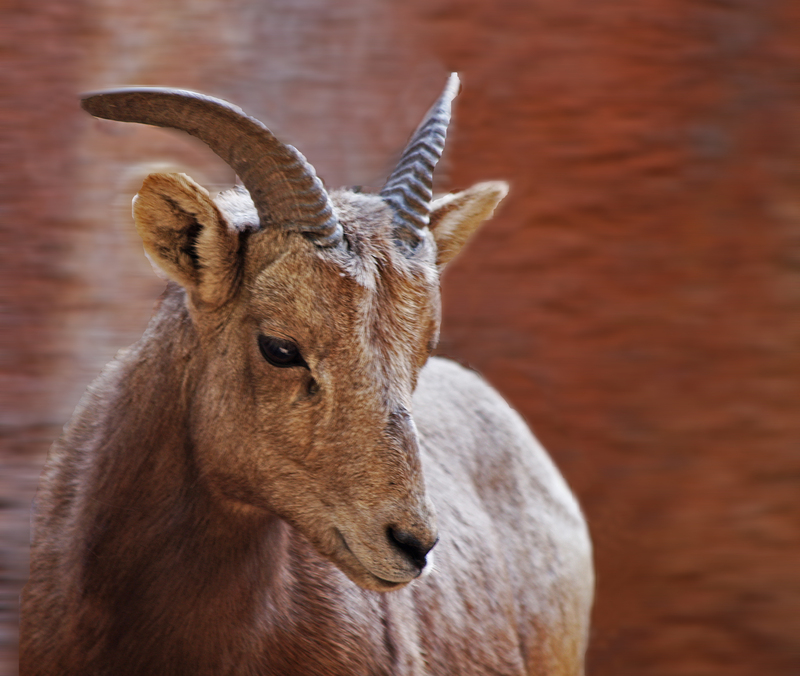 B of M; sheep, goats and other specific clean animals approved for sacrifice. 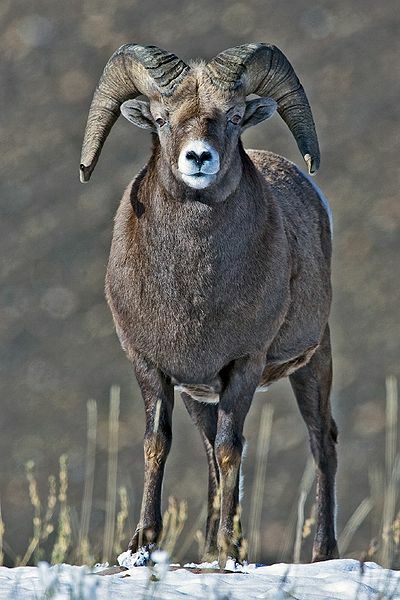 JSC; North American bighorn sheep qualify. B of M; NT Greek term for "sow" can mean "boar". See Swine. B of M; wheat is required in Israelite rites. JSC; B 33, 56; B Notes 147, AA 93, 167. The Davistown Museum: 092103NA33 Projectile points (3) Copper, A: 7 cm x 3.1 cm, B: 8.6 cm x 2 cm, C: 6.1 cm x 3 cm, age unknown. 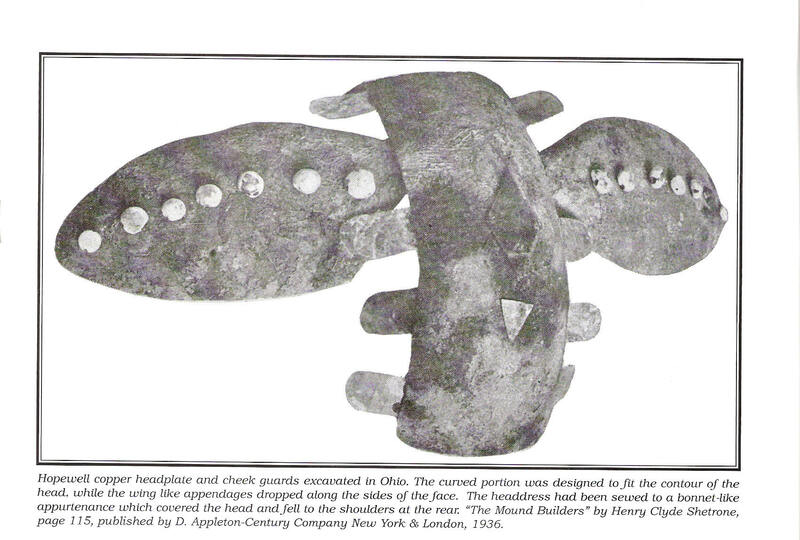 These items were dug from a mound builder's site in Ohio. DTM MHC-B . David's "bow of steel" (Psalm 18:34) was a Bronze Age creation. B 33; B Notes 162; AA 177; see "Steel"
109a Cart KJV OT Hebrew "agalah", wheeled vehicle, rolling thing. See Isaiah 5:18 (2 Nephi 15:18). The English word "cart" does not occur in the B of M American setting. See Chariot and Wheel JSC; "wagon" B 34, 41-42,108-109; AA 254-256; J. 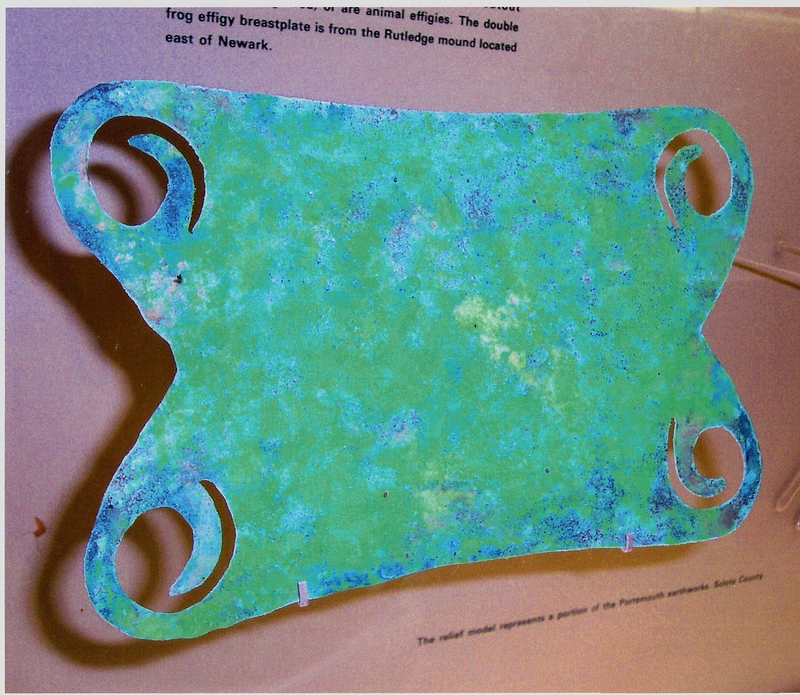 Priest notes the discovery in NY of the "iron works of a wagon, reduced to rust" and argues the possibility of its antiquity. B of M; the KJV OT mentions lime based "plaister". JSC; B 15, "fine raiment"; see "Silk"
B of M; different from the pointed circle making instrument ("m'hoogah", Isaiah 44:13), nevertheless "hoog" (circle, vault, dome) translated "compass" (Proverbs 8:27, KJV), is an appropriate description of the "Liahona". B of M; the expression "the whole earth" can simply mean the full extent of a local land or region as in the KJV. 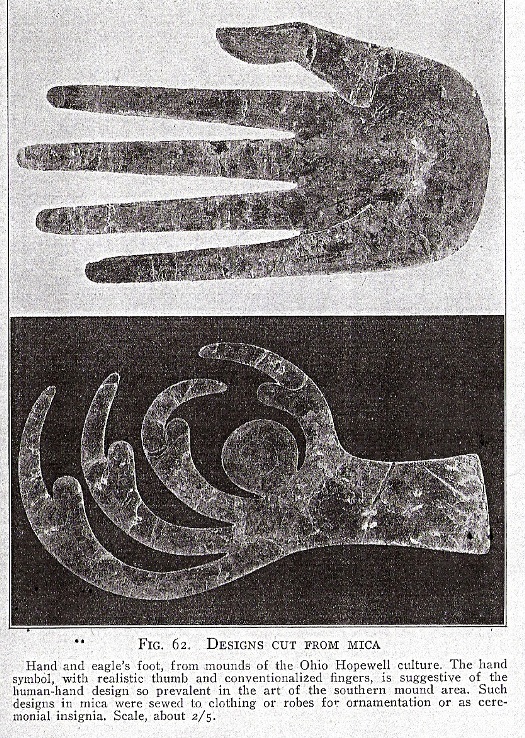 JSC; B Notes 147, mound builder "isinglass (mica membranes)", 159; AA 89, 192. See also Mound Builders & Cliff Dwellers, Lost Civilizations series, editor Dale M. Brown, pp. 22, 26, 160, skillfully cut mica panes. JSC; being in the Northern Hemisphere, the seasons of mound builder America are in step with the seasons of Israel. B of M; Israelite directions based on the perceived movement of the heavenly quarters. JSC; VOTH 90, 162-167; also Timothy Jay Jenkins, The Ten Tribes of Israel, pp. 73-75 (1883) compares Native North American vocabulary to Hebrew. B of M; the scriptural unit of time is not identical to the modern "hour". B of M; there are references to working iron, but no explicit mention of iron tools in the N. W. B of M setting. The term "lake" is never used in the B of M to describe a body of water. An inland body of water is referred to as a "sea" (e.g. Ether 2:7). JSC; B 92; AA 192, 202; J. Priest, J. Smith and others propose that ancient peoples of Mexico and Central America migrated from the "lake country" (Great Lakes region). Priest cites Humboldt. See also I. A. Lapham, Antiquities of Wisconsin (1855), Section 2, "ANCIENT WORKS AT AND IN THE VICINITY OF AZTALAN". JSC; B 34-35, 42; the wedge; the lever, the inclined plane etc. are classified as “simple machines” and were definitely employed by the mound builders. B of M; the Roman mile is not identical to the modern unit. JSC; B 45, 64; the English term "mile" can mean "any relatively great distance." B of M; lunar cycle. JSC; B 83, 98; the Old English term "ore" means "unwrought metal". This explains how "gold" (naturally found in metallic form) and meteoric iron could be referred to as "ore". JSC; B 15, "fine raiment"
B of M; "Sidon", the only river named in the N. W. setting, flows northward. JSC; B 97; B Notes 132; there are northward flowing rivers near the Great Lakes. JSC; B Notes 161, not necessarily iron oxide - copper "oxyde or rust". B of M; "sea" frequently describes an inland body of water in the KJV. B of M; the same Hebrew word translated "shore" in "sea shore", is translated "bank" in "bank of the Jordan", and "brink" in "brink of the river" (KJV). B of M / Mosaic Law requires the Nephite first month be in sync with the Passover season (When the Lamb of God was sacrificed). JSC; B 6, 11, 14, 18, 119, "hewing large blocks of stone…"
B of M; there is no explicit N. W. B of M reference to buildings made of hewn stone. JSC; B 8; B Notes 167; VOTH 165; mound builder walls of piled stone. B of M; the Hebrew “herev” is a cutting instrument, knife or sharp implement. The word is variously translated “sword”, “knife” (i.e. 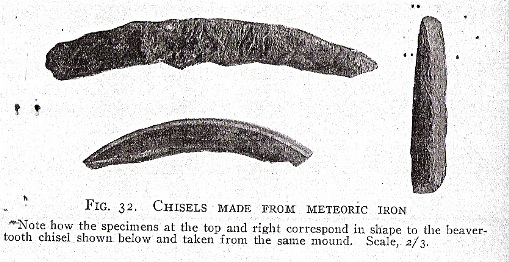 flint knife, Joshua 5:2), “dagger”, “tool”, “mattock”. The B of M mentions city walls of earth and timber. (Alma 53:4) No mention is made of walls of hewn stone. B of M "ziff", similar to the Hebrew word for "overlaying with metal", may refer to plated metal e.g. silver plated onto copper. 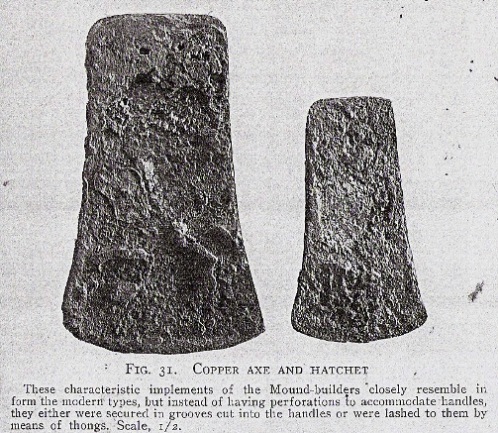 B 83; Times and Seasons, July 15, 1842, "American Antiquities", (editorial by Joseph Smith) notes "Silver very well plated on copper, has been found in several mounds…"